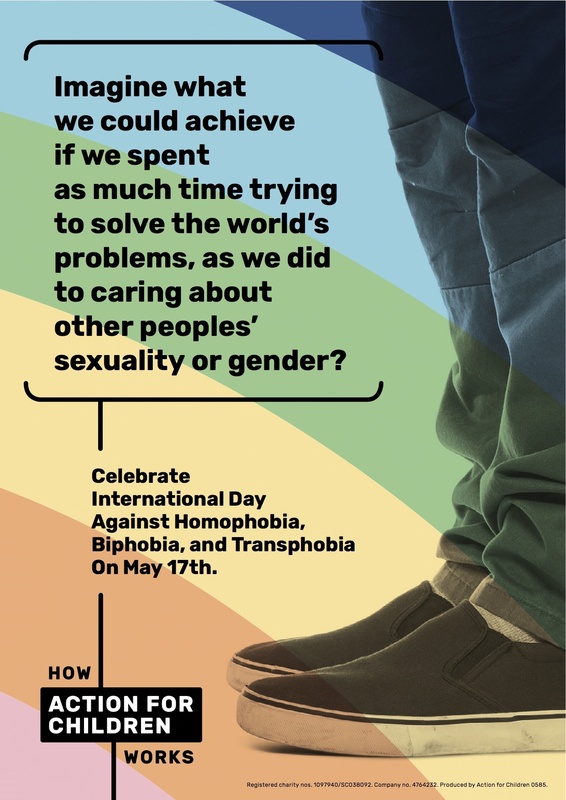 Brief: As part of Action for Children’s Inclusion and Diversity strategy, several poster executions were created to make staff, nationwide, aware of International Day Against Homophobia, Transphobia, and Biphobia – 17th May. The posters above are those which were chosen. 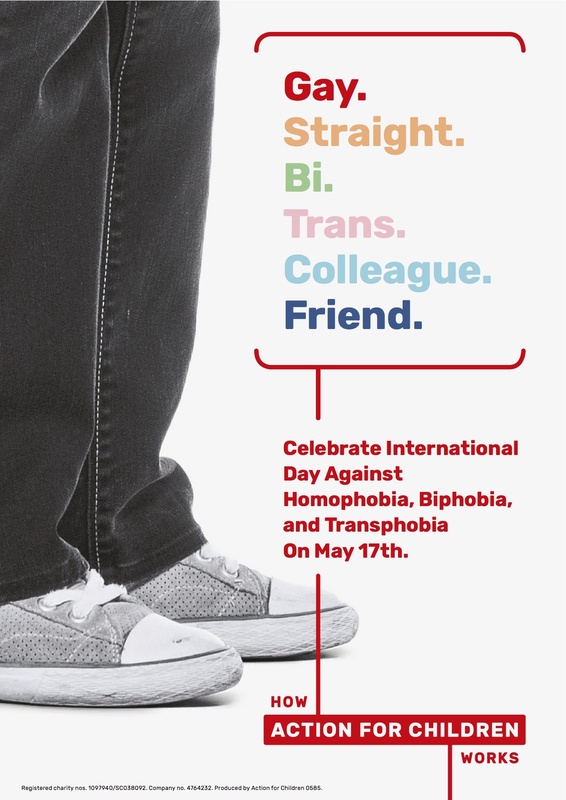 They were also used outside of the organisation in respect of Inclusion and Diversity training.